Home » Bread Recipes » Pumpkin Spice Muffins – these donuts take like Dunkin Donuts pumpkin spice muffins. Pumpkin Spice Muffins – these donuts take like Dunkin Donuts pumpkin spice muffins. Pumpkin Spice Muffins taste like Dunkin Donuts pumpkin spice seasonal muffin. 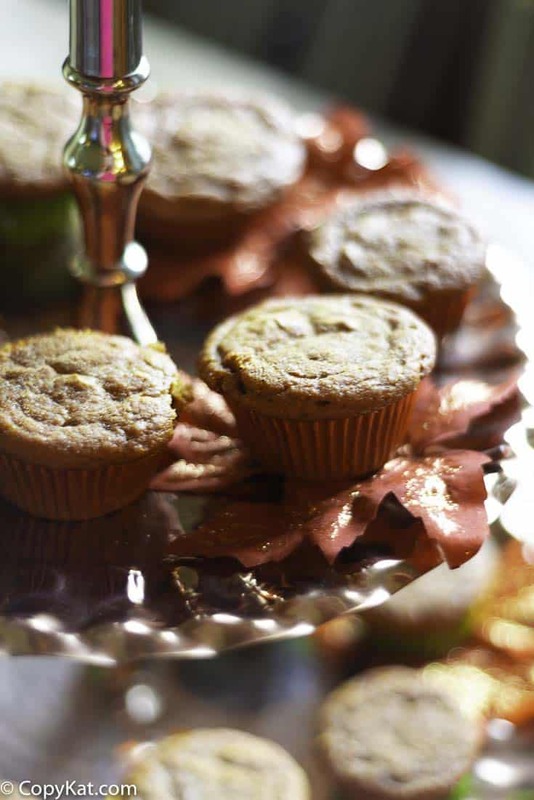 Pumpkin Spice Muffins are moist and delicate in texture and stay fresh for days. 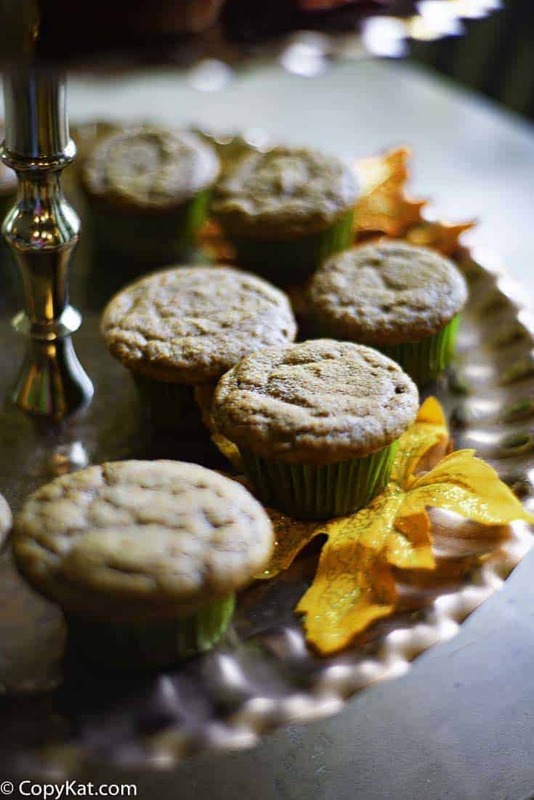 These pumpkin spice muffins are a favorite for the fall. So easy to make, these flavorful pumpkin spiced donuts are perfect for pumpkin spice lovers. This recipe is made with a box of spice cake mix, flour, eggs, pumpkin pie filling, and more. The canned pumpkin pie filling isn’t the same thing has pumpkin puree. Canned pumpkin pie filling is a pumpkin blend of pumpkin, seasonings, and more. So this is going to add a lot to the flavor of this recipe. Pumpkin is very dense, I find it helpful to make sure I beat this with a mixer for a full 2 minutes. This way air is whipped into the cake mix, and it helps make what could be super dense into something much lighter. You may want to omit the brown sugar on the top if you are trying to cut back on the sugar, it isn’t super necessary. I have sprinkled cinnamon sugar on top before. You may even want to top these with cream cheese frosting. These pumpkin spice muffins taste just like Dunkin Donuts Pumpkin Donuts. In a bowl combine cake mix, pumpkin, pudding and vanilla. Add sour cream, eggs, oil, spice, and mix well. Once combined scoop one large scoop(pampered chef large scoop)into lined cupcake cups. Sprinkle each one with brown sugar and place on stone, or cookie sheet. bake in a 350 degree preheated oven for 30 min or until toothpick comes out clean. 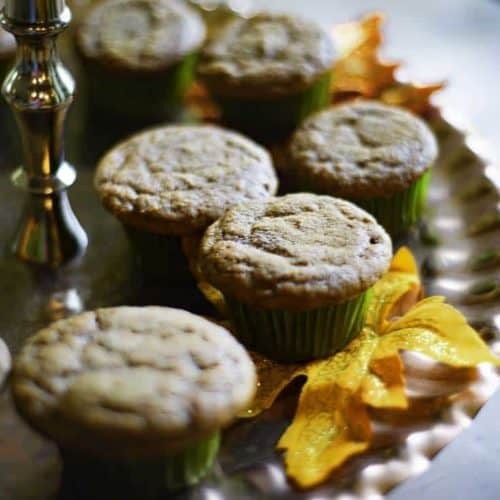 You have to try these pumpkin spice muffins delicious muffins today!!!! Layaley sent us this recipe. Thanks Layaley. Such a fun recipe and treat! Had me at pumpkin! These muffins look AMAZING! These look perfect! Can’t wait to give this a try! These are perfect for breakfast! Really good flavor with these muffins, and lovely texture too! SO easy and absolutely delicious! I love these Fall favorites! This is always a big favorite in our house. Well, Miss Stephanie, you nailed it! They smell and look divine. The only thing that I did differently was add 2 teaspoons of baking powder. I’ve made them so many times over the years and that’s the only thing I do differently. Mind you, I don’t use the sam pumpkin pie mix so that probably has something to do with it. I am so glad you enjoy these muffins! It’s a spice cake mix, and you using a can of pumpkin pie filling. I could not find pumpkin mix with spice anywhere… will regular pumkin pie filling work? thats the same thing right? These would be the larger cans. Maybe as it gets closer to Thanksgiving it will work. If the can says pumpkin pie filling it should work, if the can says pure pumpkin, that won’t work right. Canned pumpkin is generally sold in two variations. One is pumpkin puree, and the other is pumpkin pie filling. This recipe is for the pumpkin pie filling. I hope this helps. Skipped the sour cream and used half the amount of said pumpkin. DE-LISH!!!!! Perfection. My son ate 5 today! Just made this muffin with the addition of the baking powder and WOW!!!! These are soooo good!! !